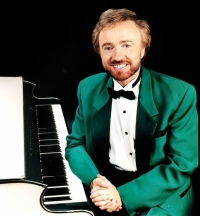 The Irish American Club, East Side is pleased to present “Ireland’s Happy Man,” Cahal Dunne for one show only on Friday, June 15, 2018. The afternoon performance will take place at the Irish American Club, East Side at 22770 Lakeshore Blvd., in Euclid. Dunne, a gifted vocalist, composer, storyteller, pianist and comedian, is a native of County Cork, Ireland. His performance will include a range of music, covering everything from The Music of the Night to silly songs like The Menopause Song. His style is rich and deep, winning him fans from across the country. Doors will open for lunch, beginning at 11:30 am. Lunch will feature boneless chicken breast with rice pilaf, steamed vegetable medley, and salad. Tickets for the event are $25 for Irish American Club members and $30 for non-members. To purchase tickets, contact Sue McGill at 216-386-5468 or Mary Jo Gurry at 216-375-5468. Resident of neighborhood since 1956. Worked on East 185th street since 1970.